45% of advertising and marketing executives say it’s challenging to find creative professionals today (The Creative Group, Dec 2017). Nearly 7 in 10 job seekers surveyed said they lose interest in a firm if they don’t hear back within two weeks of the initial interview. (Fast Company). The unemployment rate in January 2018 is 4.1%, down from 5% unemployed in 2016 (Bureau of Labor Statistics). The ratio of unemployed persons per job opening was 1.1 in December 2017. (BoLS). The recruiter then gathers feedback from all the interviewers or worse still gets them all in the same room/on a call to discuss the final selection. As we see, this method is time consuming, inefficient, and reduces candidate interest in the role. A recent trend, however, shows a shift in hiring where companies are agile in their process and they place a greater emphasis on the entire candidate experience. (See Peoplescape’ s recent blog on this, here). Agile? Recruitment? Agile is a term commonly used in software development and project management. Agile methodology is an iterative and customer-centric approach. In the last couple of years, following recognition by Harvard Business Review, McKinsey and Company et al, agile is no longer limited to software development. It’s spreading rapidly to all parts of the organization. In talent acquisition, applying agility not only cuts recruitment time and saves money but also attracts top talent. One of the disadvantages of recruiting in a transactional way is how easily a company can lose a great candidate. The average length of interview process is 23.7 days; and software engineer jobs take 40.8 days to fill on average! (Glassdoor study 1-6/2017). The job market continues to be competitive and job seekers look beyond compensation and job title when searching for their next role. They go for the overall “hearts and minds” package, to find companies with values they share and would enjoy working with. How do we behave like a company, you and your candidate would enjoy working for? Simply put, candidate experience is the reaction job candidates have after interacting with your organization. 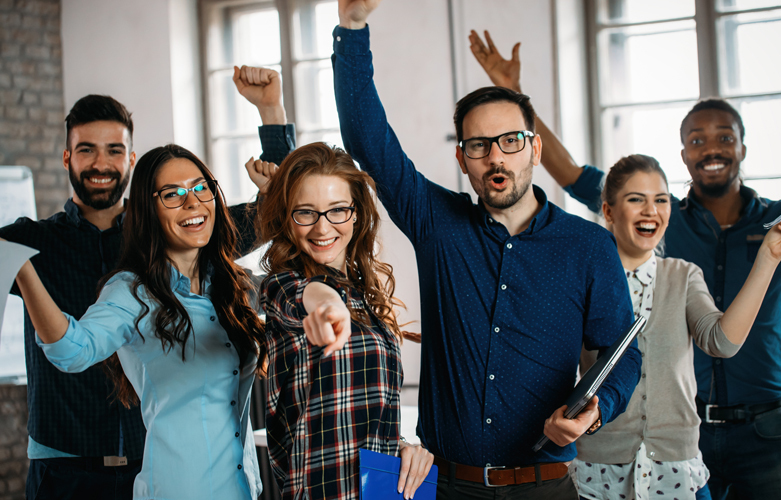 According to Careerbuilder, 75% of candidates say their candidate and onboarding experience with a company is the first part of their broader employee experience; thus blending the lines between candidate and employee experience. To create a positive hiring experience, the recruiting team must create a “high-touch” environment for the candidates. From the moment they email or call a candidate, there must be high touch communication all the way through the recruitment journey, until hire or rejection. The formula is to succeed in sustaining the candidate’s excitement, knowledge and positivity about the company all the way through. Winner of Glassdoor’s Best Places to Interview for 2017 is Dignity Health. Dignity won this award for giving candidates a positive interview experience; “the friendly, comforting environment, engaging questions, and clear expectations of what the open roles will entail” where what sealed it for them. Ranked in the top five, Salesforce personalizes interviews by asking interviewers to share their personal journey and to look for candidates who possess the same values as does the company. How many companies have lost well-suited candidates because they sat on making a decision for a month? Ideally, the recruiter should debrief with the interviewing team as soon as the candidate leaves and decide if they should proceed with an offer. This eliminates losing the right candidate to a time-lag or dissipating interest. Fortune recently highlighted Intuit’s hiring process where interviewers are proven to be “sharp judges of talent” and HR Chief Sherry Whiteley confirms that their recruitment process is so agile that it is not uncommon for same-day offers. Those not selected will similarly appreciate the swift response and are unlikely to post negative comments on social media sites. Social media, after all, is a strong recruitment tool with staying power. Recruitment should be an affirmative and high touch experience as it is a process of adding new talent to your team. If the process is agile and candidates are provided a genuine, warm experience, then your company remains competitive and can successfully attract the talent you desire, enhance a great culture as well as the strategic goals your team aims for. Fierce, Fearless & Human – The Judge, The Healer, The Executioner Can we Be Human, After #MeToo?